The Play is the Thing contains more anecdotes, comments, and character portraits from and by Henry Jayasena than any article or essay written about the man. It is at once full of wit and sobriety, particularly because it is not just about the theatre, the medium through which he prospered. Full of sketches about the men and women he encountered, some friendly, others indifferent, a few antagonistic, the book harbours no anger or malice. There are very few artists, who have departed from us, whom I would do anything to meet again. Jayasena was and is one of them. For people like me, who grew up on television, he was always Sudu Seeya. And yet, there was more to him than that. More to him than even the plays he wrote and directed, certainly more to him than the biographies we associate with such artists and personalities. Nearly everyone has written on the man. I can only hope to provide a brief outline. If ever there was a Sinhala film which rounded up a perfect cast, that film was Gamperaliya. When I read Ediriweera Sarachchandra’s The Sinhalese Novel and his comments on Martin Wickramasinghe’s novel, I was astounded by the fidelity to the characters which the actors in the film adaptation so ably sustained. Of Nanda, for instance, Sarachchandra wrote that her most distinctive quality was the absence of a proper character. Who can claim otherwise of Punya Heendeniya’s performance? The same could, in all likelihood, have been said of Henry Jayasena’s portrayal of Piyal, who while defeated was not a defeatist, who while accepting his status did not wish to remain in it forever. He was the classic entrepreneur, but in his character there was a subtle contradiction between the earthiness of the village and the cosmopolitanism of the town. This was captured elaborately by Wasantha Kotuwella in Bertram Nihal’s television adaptation of the novel, including his flair for speculation (which we do not see in Lester James Peries’s film). But Kotuwella, I now feel, explored this aspect to his character rather overtly. What went out of the window were the nuances of his two-sided personality, the same nuances which were so ably captured by Jayasena. Jayasena’s greatest performance, given all this, was as Piyal. Lester’s films, at least most of them (barring his epics), are premised on characters who reveal their emotions only at the last minute. This came out most discernibly in Gamperaliya, where Piyal, incensed at Nanda’s open shows of affection towards her dead husband, Jinadasa, cruelly rages at her (“If it were not for my money, that man would not have been given a decent funeral!”). And yet, a few moments later, he has quietened down. It was the only time in the entire story in which he loses his temper, and even then, he is never really explicit about it. He comes across more as a child hurt by the indifference of his love than as a husband questioning his wife’s fidelity. “In no other film of mine did my cast get together so seamlessly,” Lester once told me. It is hard to disagree. 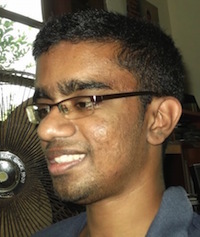 Tony Ranasinghe, after appearing as a journalist in Getawarayo, became the epitome of youthful fragility in Delovak Athara. Like Tony, Henry was not afraid of baring his manhood if that was what it took to bring his lovers back. Unlike Tony, Henry had a definitive limit. You see him reach that limit in what I consider to be his next best performance (after Gamperaliya), as Lalith in Dahasak Sithuvili, the distraught clerk in love with a girl who may or may not have other commitments. (Jayasena, for some reason, does not talk about the film in The Play is The Thing.) There’s a sequence in Dahasak Sithuvili where he comes across some photos of the girl, Nilanthi, with the man she is allegedly going out with. Lalith’s obsessions (the visuals help us identify what they are) reach breaking point as he imagines her on the beach with that man, Sagara, frolicking by the waves and embracing him. Through S. M. Nizar’s editing, the crisscrossing between the real and the imagined makes us question which is what, and for Lalith, it is enough for him to follow, question, and persist in his love for her. To distinguish between Tony and Henry here is to compare Dahasak Sithuvili with another film about the pain of unrequited love released at the same time, Hanthane Kathawa. There are noticeable similarities, like the protagonist being an innocent but uninteresting idealist who believes in honest relations with the men and women he associates with, as well as sequences which have him try to win his lover through a song (in Hanthane Kathawa, Tony is rebuffed by Vijaya singing a more exuberant tune, while in Dahasak Sithuvili, Henry is rebuffed at a party by everyone in favour of that immortal classic, “Sathuta Vilai”). And yet, there are differences. In Hanthane Kathawa, we see Tony persistently transform his love for her into feelings of jealousy towards her other lover. In Dahasak Sithuvili, however, Henry doesn’t really transform his love into jealousy; he instead channels it inward, almost destroying himself. The endings of both movies help us separate these two performances even more: Tony, having discovered his lover with Vijaya, walks down the hill, defeated, and joins his comrades; Henry, also defeated, writes a letter to her and retreats to the countryside. In other words, Tony could never actually articulate his frustration, whereas Henry could. Those were their respective fates: the one walked away, the other retreated. Henry did not take part in many films (only 20, compared with 120 for Tony). The few he did take part in, however, were miles away from the plays he produced. To see his performance in Gamperaliya, for instance, is to be astounded at his ability at toning down the brashness he projected in, say, Hunuwataye Kathawa (as Azadac). The same can be said of Dahasak Sithuvili and even Kaliyugaya. But surprisingly, these were not Henry’s favourite performances. As a director who worked with him closely once told me, “He believed that his greatest onscreen performance was as the drunken father in Handaya.” Handaya, a classic for its time, had Henry play out an aggressive loudmouth wholly at odds with his characterisations of Piyal and Lalith. “Perhaps,” this director went on, “It was the theatricality of the act which appealed to him.” Lester vouched for this aspect to the man when he told me on another occasion that “he was the sort of actor who had to be ‘directed’, if you know what I mean… He would ‘open up’ and we would then have to ‘restrain’ him.” This sense of theatricality comes out even in Hansa Vilak, though it briefly recedes in Vasantha Obeyesekere’s Palagetiyo and Lester’s own Kaliyugaya, where the Piyal we encounter has become more cunning, clever, and at the same time cruel, than his previous incarnation. Being more a student of film than of drama, I can’t possibly chart his contributions to the theatre in this country. While I have both seen and read Hunuwataye Kathawa and Makarakshaya (the later version, by Dharmasiri Bandaranayake), I can’t go beyond a few cursory sketches at most. In that sense, The Play is The Thing is a more accessible and clear account of his work in the theatre, as it traces his career through childhood encounters with Rukmani Devi and the Minerva Group and the clashes and conflicts this led him to with his family. In chapter after chapter, he describes how difficult he found it to escape to the theatre, and how afraid he was of telling his father that he was staging a play of his own at his second school, Nalanda College. All these encounters were, moreover, the result of a childhood spent voraciously exploring libraries. As he later put it to Malinda Seneviratne, “To me, ‘literature’ refers to works that are of lasting quality. That is what separates a good book from a popular book.” It was this attitude, of creating a lasting as opposed to a popular work, which made him explore the theatre (through visits to Russia and Britain) and bring down what he could from the rest of the world to the Navarangahala, the Lumini Theatre, and the Wendt. Henry was the last of the great twilight dramatists – we can add to that category Sugathapala Silva, Premaranjith Tilakaratne, Gunasena Galappaththi, and Dayananda Gunawardena – who rebelled against the conventional theatre (laden with religious parables) and emphasised on the dialogues. Sugathapala was the loner here, given that Galappaththi, Gunawardena, and even Jayasena dabbled in the theatre of colour and costume (which he did not). But Jayasena, perhaps having despaired of the colours and the costumes he exhibited with Hunuwataye Kathawa and Kuveni, resorted to the austere and the cynical in Apata Puthe Mathaka Nathe, probably the most politically charged play (though it did not have a political “message” as such) of the sixties. This play, banned for some time before eventually being staged, was seminal in that it broke away from the standard set by other productions at the time. 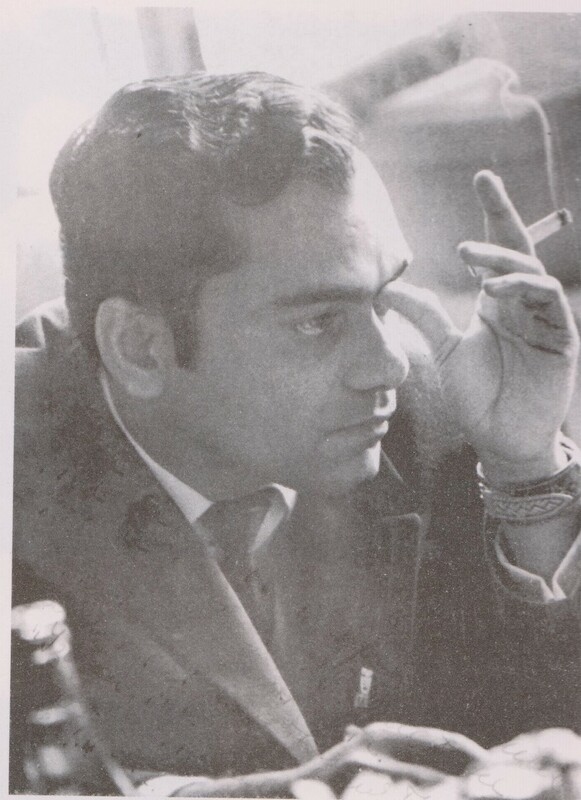 Even Sugathapala de Silva, in as landmark a dramatic work as Boarding Karayo, could not go beyond the rebellious youth trope inspired by the “Angry Young Men” of sixties working class England. With Apata Puthe Magak Nathe, Jayasena succeeded in bridging the gap between the individual and the wider society which his contemporaries had tried to bridge, but could not. When the mother of the protagonist, after hearing that he has committed suicide, comes onstage, she lets out her feelings of anger and remorse, and being unable to indict the world, she indicts her son. It was a fitting metaphor: in years to come, the young, angry at the rifts their society had sustained, would go beyond those elders and rebel against that society. Jayasena’s greatest contribution may have been his prediction about the way the young would channel their rage in later years, not against their superiors, but against the very social fabric on which they stood. Unfortunately I don’t know this gent …….. only Lankan cultural icon I know is Anton Jones ……. a cassette was given to me years ago by a Lankan visitor who came to dinner to my house ……… the Uncle Tom in me sneered at it at the time and never played ……… now I dance to it few times a week ……… best exercise. ……… I don’t know if Mr Jones is lowbrow in Lankan cultural stakes but I find it to be great social commentary …….. like the bards of yore ……. who carried news from village to village ……… before the advent of electronic transmission ………. ” I don’t know if Mr Jones is lowbrow in Lankan cultural stakes. Mr. Jones is definitely not in the same category as Henry J. The literati might even say he spreads “thuppahi” culture. Not that I agree. Baila has a longer history than the recently invented efforts of some visharadha types. 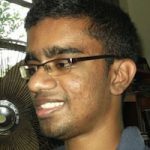 Uditha Devapriya, Truly fascinating article. Please keep it up. Can you cut your articles a bit shorter please. Uditha: You are trying to be a writer. But, your article the last time was arrongent and be littleling buddhists. YOu did not know the whiole story. I suppose this time you wanted to write a critique about HEnri Jayasena. but, reread and think if you were the reader, whether the writer achieved his goals. YOu assumed, every body else knew what you knew. Read a classicla novel and see, even TB eleangarathne, how easy it is to grasp the story. Reader need to be able to follow it as it is a flowing story. I must confess that I am not much familiar with the Sinhala film or theatre, however I am aware that they have made giant strides in both and received accolades internationally. This can be ascribed to the fact that the actors, playwrights ,directors and producers were mostly from the educated class and were committed and therefore were able to make calculated and bold attempts. Playwrights and directors were familiar with the Western arts and literature and were not shy to adapt modern trends in the field. Gamini Fonseka the dashing hero of the Clint Eastwood / MGR mold in the 60s and 70s was famous for his performances in Soorayangeth Sooraya, Chandiya etc. (which films I relished as a school boy) was also able to dish out mature and stable performance in later day films like Nidhanaya. This shows that the directors and actors did not depend on the proto type and were prepared to go beyond. Gamini gave a superb performance in Sagarayak medha in late 70s which was a satire on the defeated politician Felix Dias Bandaranayake. This film was an instant hit owing more to the extreme unpopularity of Felix Dias at that time than to the stellar portrayal by Gamini Fonseka. Coming to the topic, I had the fortune of watching the famous TV serial Doodaruwo in 1990-94 which featured Henry Jayasena as ‘sudu seeya’. His was a natural and effortless performance and nobody could say he was merely ‘acting’. I am told that some seeyas and uncles began imitating Henry Jaysena in real life. Although I am from the Tamil community , I was able to follow this serial and enjoy it for the brilliant performance by the likes of Henry Jayasena, Irangani Serasinghe, H.A.Perera, Neil Alles, Veena Jayakody, Chandani Seneviratne, Nilmini Tennakoon and others. I join the author in the compliments paid to the veteran actor Henry Jayasena. In the previous article (last week) you said your Sinhala knowledge is absymil. Then how do you in the world critique Sinahala literature? This is beyond my comprehension. Did you lie in that article to show you are hi fi? Your article is incomplete. Why? You forgot to mention Manel Jayasena. I have not heard anyone calling Henri Jayasena Sudu Seeya. Others please comment.